Guardian dogs can play can crucial role on livestock and poultry farms. 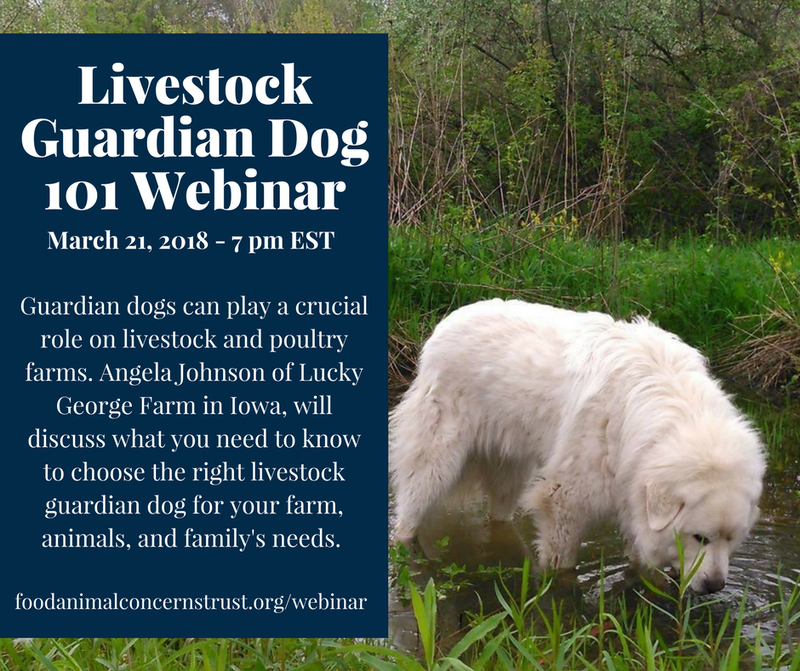 Our presenter, Angela Johnson, will discuss how to choose the right livestock guardian dog for your farm, your animals, and your family's needs. Angela and her husband Jason operate Lucky George Farm, a diversified livestock operation near Derby, Iowa. For the past four years they have been successfully using livestock guardian dogs to reduce and eliminate the threat of predators on their pasture based farm. Angela will share her experiences in raising and training livestock guardian dogs to work with goats, poultry, pigs and cattle. She will also discuss normal LGD behaviors and what you need to know before bringing one of these amazing working dogs into your farming operation.